Lock in a great price for Peninsula Petit - rated 9.6 by recent guests. We loved our stay - the staff were incredibly welcoming and friendly, the hotel has stunning views of the lake and a delicious breakfast. The tea and biscuits were a lovely touch! Great location and great staff (+ great dog!). 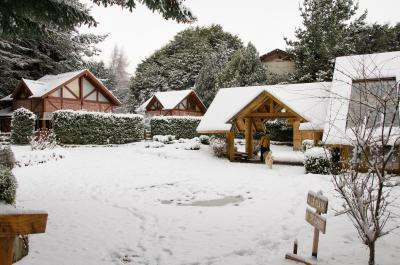 Not in downtown Bariloche, but easy to get to via bus, cab or remise if that is somewhere you want to go, but I don't think it's necessary after having visited. Would recommend to others for sure, and I would stay here again. 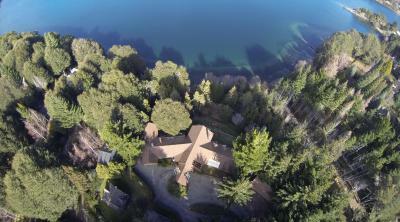 Tranquil location on lakeshore. On Circuitous Chico route. Within glade of pines. Breakfast. Window views. Lovely staff. Private beach at bottom of rear-terrace. The hotel was wonderful from the moment we stepped in and saw the fabulous view from reception which was also the view from our upgraded room. We were told to treat it as our home for the next 5 nights and to help ourselves to the selection of teas, coffees, pastries and chocolate brownies a available throughout the day in the lounge area. The breakfast was as good as all the reviews we had read (and was one of the reason we booked) and the evening meals were also fabulous with a small selection of good wines. The hotel is also in a good location for exploring the area we hiked Refugio Frey and did the Cercutio Chico from the hotel which was about 17 miles. All in all we loved our time at the Peninsula Petit it really is a special place in a gorgeous location. Family run with wonderful personal and friendly service. Always ready to help. The hotel dog was an added joy. The welcome hot chocolate was delicious. The location is perfect and the views are incredible. Would highly recommend. Cannot thank the staff enough for such a memorable stay. Everything about our stay was exceptional! From the check in to the check out, the manager, Pablo, was attentive and very helpful in giving us recommendations for activities and places to eat. The view from the hotel was awesome! We were blessed with good weather, which added to our enjoyment. The breakfasts were exceptional, with a new special every day. Our room looked out over the lake with the mountains in the distance. What a treat to wake up to that! Best breakfast throughout our travels in Argentina, great selection with so many homemade pastries. A small honesty bar which is lovely to come back to after a long day out. 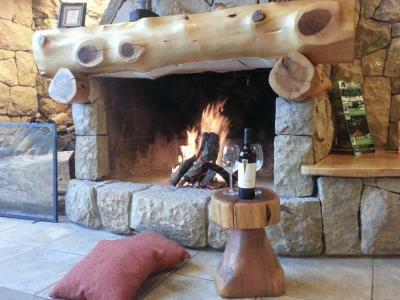 Also An in house restaurant which was good, could even bring your own wine to. The view is spectacular, first thing you see as you walk into the accommodation, will miss it greatly seeing it every morning Very helpful at organising and booking excursions, I even lost my key and they were so good about it. Had their own access to the water and a kayak you could go out on! The room was gorgeous and the view was out of this world. The hotel was very clean and comfortable and the open fire was a lovely touch. 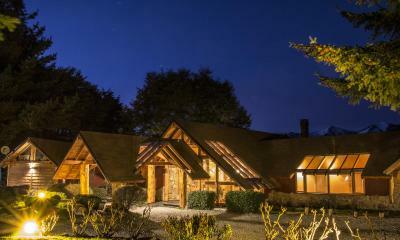 Staff were very knowledgeable and helpful, we had an excellent stay! Best hot chocolate! 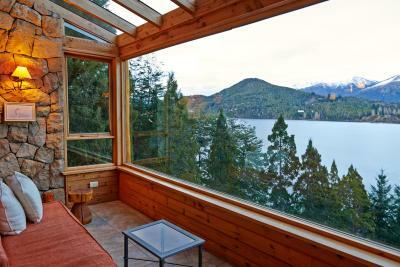 Located in San Pedro’s Peninsula, Peninsula Petit Hotel offers luxurious rooms with views of Lake Nahuel Huapi, only 12.4 miles from downtown Bariloche. 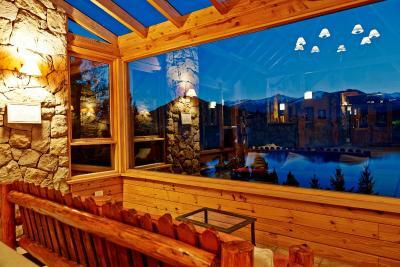 Catedral Ski Center is a 35-minute drive and guests can enjoy discounts on ski equipment and ski lessons. 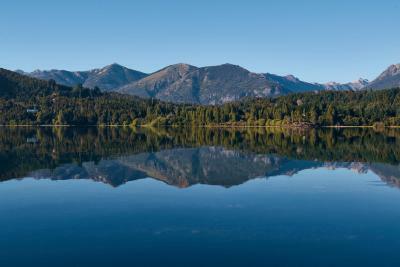 Mountain trekking, bird watching trips and lake visits can be booked during the summer. All rooms at Peninsula Petit Hotel feature free WiFi access. Guests can take a stroll through Peninsula Petit’s gardens and walk to the beach. The hotel’s Desde el Sur Restaurant offers a wide variety of local gourmet products, including rainbow trout and homemade pasta. Bustillo Avenue is only 550 yards away. 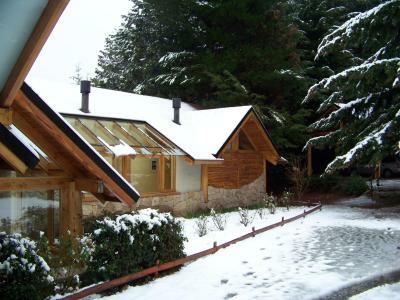 Peninsula Petit Hotel offers transfers at an additional cost to and from Bariloche International Airport. 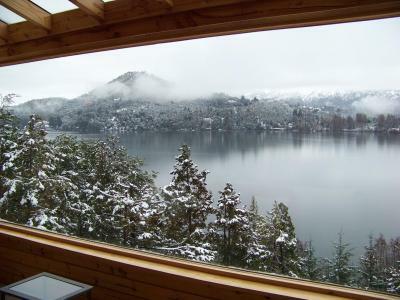 Peninsula San Pedro is a great choice for travellers interested in downhill skiing, nature and scenery. 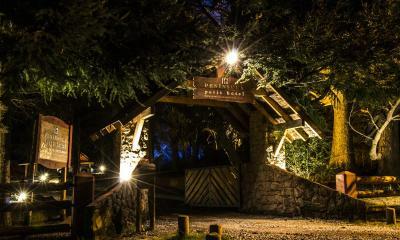 Peninsula Petit has been welcoming Booking.com guests since 18 May 2010. When would you like to stay at Peninsula Petit? This spacious room features a king-size bed, bathtub, TV, and lake view, minibar, electric kettle, WiFi, hairdryer, and Flat TV and satellite channels. 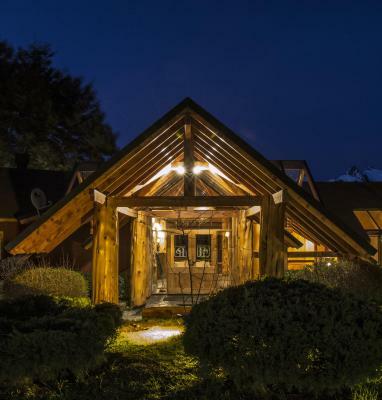 Hotel surroundings – This neighbourhood is a great choice for travellers interested in downhill skiing, nature and scenery – Check location Excellent location - show map Guests loved walking around the neighbourhood! House rules Peninsula Petit takes special requests - add in the next step! Peninsula Petit accepts these cards and reserves the right to temporarily hold an amount prior to arrival. Please note that the on site restaurant is only open during high season. A deposit via bank wire is required to secure your reservation. Peninsula Petit Hotel will contact you after booking to provide bank wire instructions. 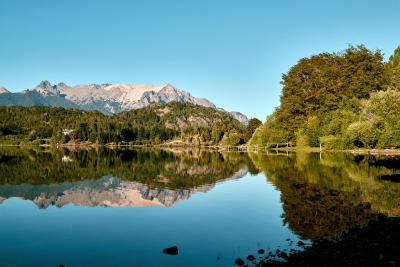 It was too warm for our liking, but this seems to be all over Bariloche. We had to sleep with the window open, it was about 10 degrees outside, but otherwise it was way too hot. 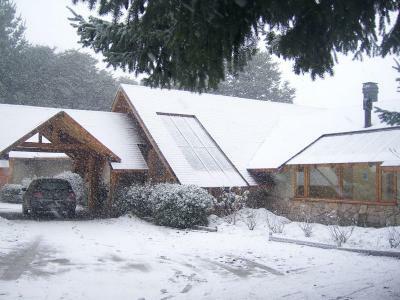 Bedrooms not well sound insulated not a big problem for us but could hear neighbours talking on cellphone. Quite hard to find the property in my car without GPS despite having map, after dark! Excellent breakfast and snacks through the day. The location is beautiful, right by the lake. It's quiet and clean, and the staff were very kind and helpful. The food was really good too. 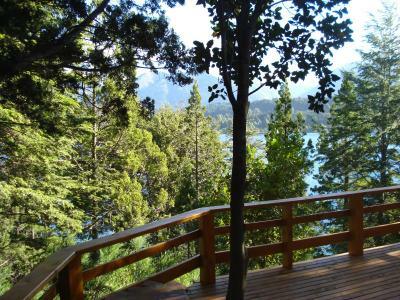 Fabulous quiet, serene, beautiful location on a peninsula away from the crowded center of Bariloche. 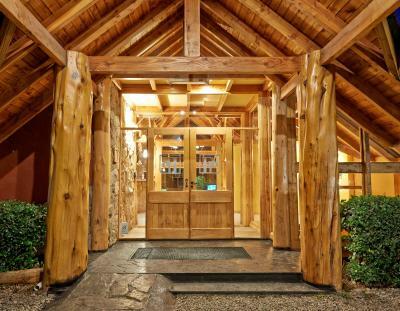 If you like nature & the outdoors, this is the place to stay. 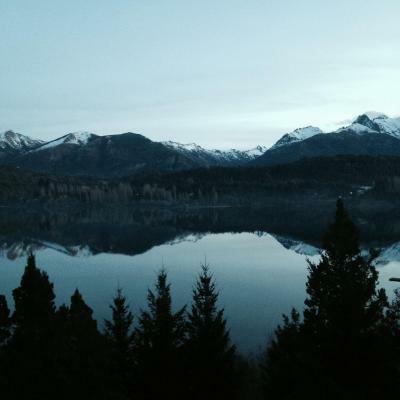 From the lodge & our hotel room, the views overlooking the lake & mountains are wonderful. We had a car, so it was a short drive to hike to the National Park or visit the beautiful Minicipal park nearby. 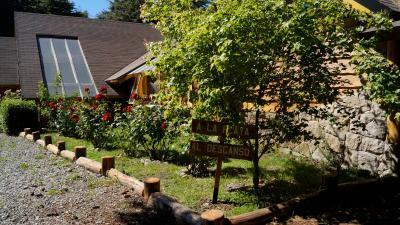 The home cooked breakfast and the staff- Pablo, Natalia & Daina were wonderful & so attentive. The bed was very comfortable and the towels were the best in any place of our entire 2 month stay. What a great feeling to come back each day to paradise!! Bathroom and room not as clear as it should be. Some features of room had a cheap motel feel to it.